File this under definitely not good: global warming is depleting the oceans of oxygen. You know, that little molecule that we, along with all other complex life forms, require in order to breathe and therefore live. The reason is simple. According to basic thermodynamics, cold water can hold more dissolved gases than warm water. As our ever-warming atmosphere heats the surface of the ocean, the oxygen content starts to fall. Also, as water warms, it expands and gets lighter. This makes it less likely to sink, which in turn reduces the transport of oxygen from the atmosphere into the deep ocean. All of this is well-established science. It’s also understood that the oxygen content of the ocean varies all the time due to changes in weather, seasons, latitude, and longer-term climate patterns like El Niño. But a study published this week in Global Biogeochemical Cycles is the first to show that the oxygen content of the world’s oceans is now falling thanks to climate change. “For a lot of the tropics, this decline is actually starting now,” Matthew Long, an oceanographer at the National Center for Atmospheric Research and lead author on the study told Gizmodo. Long used supercomputer simulations to model ocean oxygen concentrations from 1920 to 2100, and to tease out natural variability from a global warming signal. As he pointed out, that signal is already visible in the southern Indian Ocean and the eastern tropical Pacific. By the 2040s, Long’s models predict that evidence for ocean deoxygenation will be widespread. 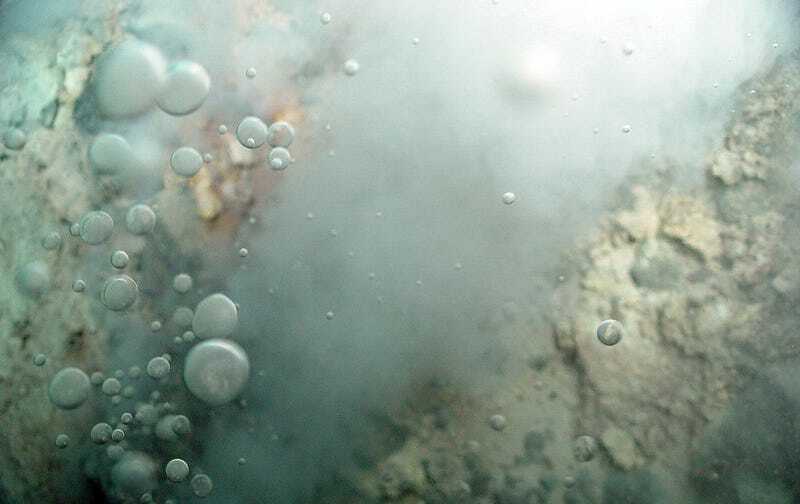 The fall in oxygen concentrations may be small—in some cases, it amounts to just a few percent. But for many organisms including humans, a little deoxygenation is the difference between enjoying life and being dizzy, lethargic, or dead. And remember, we’ve already seen how this can play out in the oceans—just look at the 6,500 square-mile dead zone in the Gulf of Mexico, caused by algae blooms that aggressively choke out sunlight and and oxygen. The entire ocean isn’t going to choke. But if Long’s models are even close to correct, we will start seeing more low oxygen (hypoxic) waters, and more dead zones, reducing the amount of habitat for animals that are already feeling the stresses of global warming, pollution, and ocean acidification. “I think it’s a major concern that ocean ecosystems will become more fragmented, that there will increasing be barriers to dispersal, and that certain areas will become uninhabitable,” Long said. Here’s hoping Elon Musk comes through on that promise to get us to Mars soon.